Jean-Martin Fortier would be the first to tell you that the small family farm is not dead. Far from it. In an age when the “bigger is better” mentality has thoroughly pervaded the farming landscape, a small but growing group of farmers have bucked that trend, and have achieved remarkable success operating on a much smaller scale. It seems that small may just be the next big thing. Along with his wife, Maude-Hélène Desroches, Jean-Martin Fortier is the owner of Les Jardins de la Grelinette, a 1½ acre farm in the countryside to the south of Montreal, and the author of the recently released beginning farmer’s manual, The Market Gardener, which lays out a systematic guide for farming successfully on a small scale. It is essential reading for anyone interested in starting a small farm with the goal of selling the products at market. In the book, Jean-Martin lays out a wealth of knowledge on the process of establishing and maintaining a market garden. From information on how to choose a site and the cost considerations that go into making that decision, to the nuances of marketing and selling your produce, he covers everything you need to know in accessible, easy-to-understand language based on his years of experience growing crops for sale on his micro-farm. A highlight of the book is that Jean-Martin realizes that a profitable agricultural business does not have to come at the expense of the health of the land. In addition to teaching the practical points for running a savvy farm, he also delves into the nuances of maintaining healthy soils and ecological landscapes that do much more than produce stellar vegetables. Jean-Martin demonstrates that small amounts of land can be quite profitable if cared for correctly. He estimates that “a well-established, smoothly running market garden with good sales outlets can bring in $60,000 to $100,000 per acre annually in diverse vegetable crops.” That’s no small potatoes! Contrary to popular belief, farming isn’t all hard work. Jean-Martin explains, “Believe it or not, there is still plenty of free time left over when the work is done. Our season gets started in the month of March and finishes in December. That’s nine months of work; three months off.” Not too shabby! 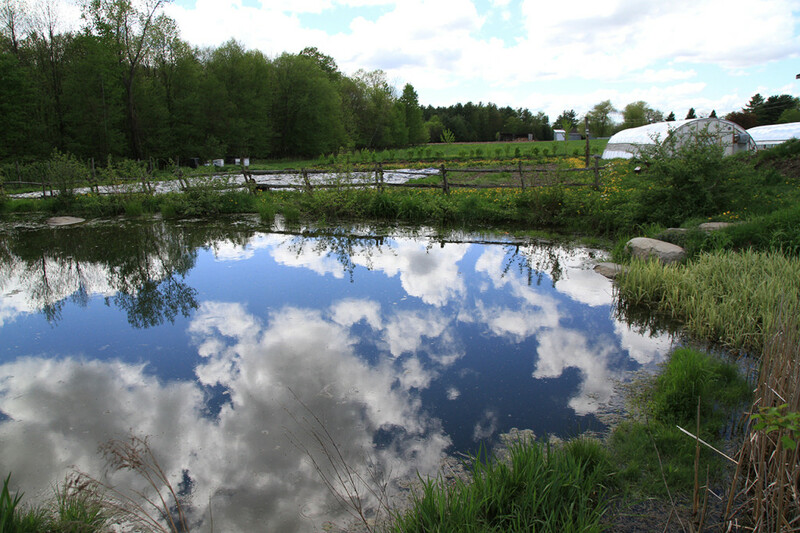 Don’t fall into the trap of buying land that meets your vision of a bucolic landscape, only to find out it has terrible drainage and a less than ideal orientation. Healthy soil is the foundation of a profitable small farm, a point that Jean-Martin can’t emphasize enough. Knowing the state of your soil and how to fertilize it appropriately is of paramount importance. Jean-Martin’s advice? Ask an expert. 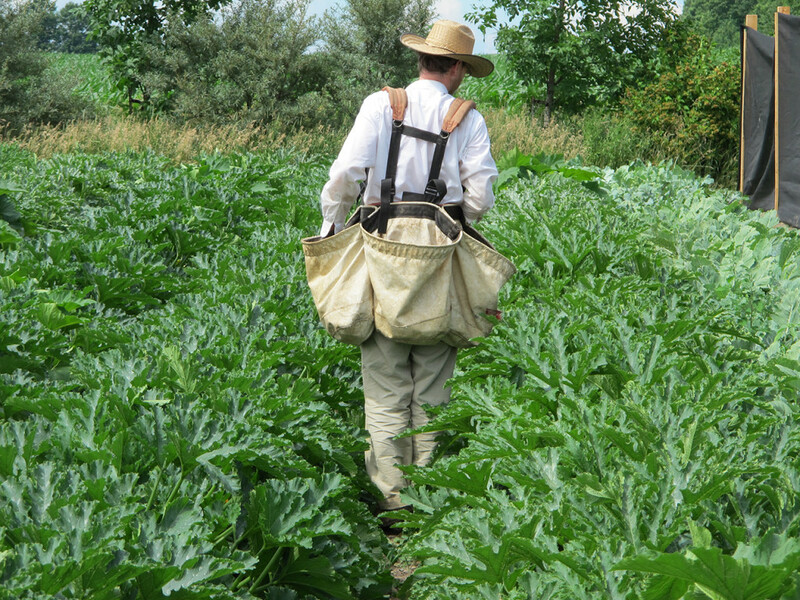 “Learning how to fertilize organically was not a straightforward endeavor, and the assistance of agronomic expertise, especially in the first years of establishing our market garden, was of great help.” Have a soil test taken in your garden before the first seed is planted and get an expert to advise you on the results. Want to learn more about Jean-Martin’s work? Check out this interview with Jean-Martin. Also, watch the video below to hear Jean-Martin discuss his experiences with farming. And if that’s not enough, check out his website and his book!